I love buying vintage crochet cotton at the thrift shop. It speaks to me of the hands that it has passed through, and the pleasure it has brought to other thread lovers. 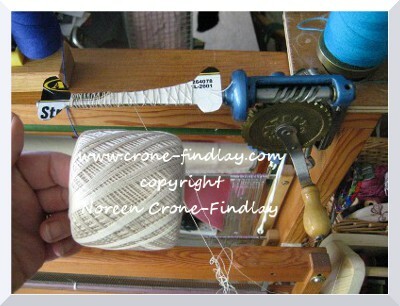 I like to use it in my weaving, crochet and tatting, as it gives me a sense of connection to needlewomen of the past. BUT… storing balls of crochet cotton can be a problem. Those hollow cores take up a LOT of space! Last night, I had insomnia, and was thinking about winding off a pile of vintage crochet cotton, when I had a flash of inspiration!! 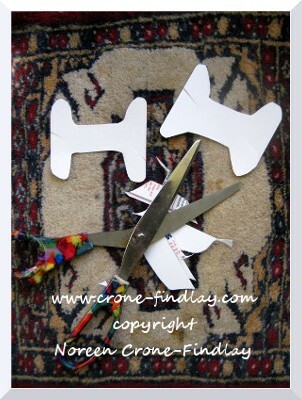 Instead of making chubby little embroidery style bobbins, if I made ‘dog bone’ shape bobbins, I could use my bobbin winder to speed up the process of winding them. AND, they’d take up less room, as it would be a longer, leaner shape. In a twinkling of an eye, I have compactly wound bobbins that won’t tangle with other bobbins, as the thread is taken through a slot and secured. Another bonus! No snaggles! 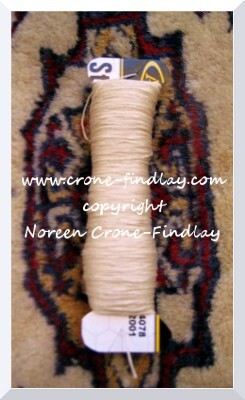 This shape of bobbin is great for warping the Mirrix loom, as it’s so compact. Yep – it’s a win! I haven’t tried using these bobbins for tapestry weaving, but I will, and will let you know how I like them. I love making tapestry bobbins from wood- especially upcycled wood, so I will be showing you how I do that in an upcoming post. excellent idea!!! wow, insomnia really pays off for you! and i love your bobbin winder– that must be vintage also? I suspect that my bobbin winder is vintage…. I’ve had it for awhile, and got it used from someone else who had gotten it used and…. LOL…. 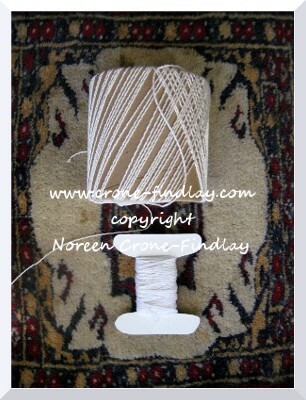 just found a bobbin winder like yours at halcyon yarn– very cool! They are great, solid little bobbin winders! Are you going to treat yourself to one? 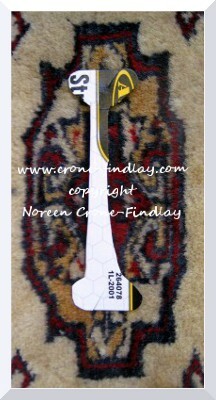 Wow… this one: http://halcyonyarn.com/products/equipment/68070000.html does look just like mine! It’s a beautiful little machine, and works a fair treat! No affiliations or profit in saying so, just really happy with it. we’re going to be traveling to the east coast this summer (i’m in the final two weeks of packing/moving out of our home of 27 years to hit the road for a year!) so maybe i’ll treat myself to one while we’re back there! not much space in our camper van, but bringing a small trunk full of yarn, books and crochet hooks of course! priorities! i can make room for more yarn with your idea!